A man has been jailed for sending money to fund his brother who is fighting in Syria with Daesh, police said. Nadeem Hussain, 36, admitted sending £4,000 to fund brother Naweed Hussain, who is believed to have joined Daesh after travelling to the conflict zone in 2015, West Midlands Police said. The cash was sent over three days in April last year. 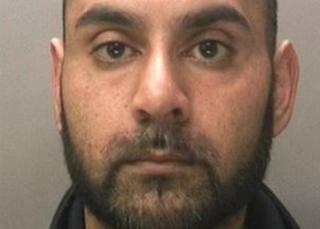 Hussain, of Threadneedle Street, Coventry, was jailed for four years and eight months at Kingston crown court. He had admitted three counts of being concerned in arrangements to make money available for the purposes of terrorism. Assistant Chief Constable Marcus Beale, who leads on counter-terrorism for the West Midlands, said: "Disrupting terrorist funding is an important part of our investigations. "Sending money to those actively engaged in terrorism helps fund their activities and exacerbates the threat. We will continue to act on any intelligence and disrupt the flow of money to conflict zones."